LED pop-up stand lights LXR7S-A, led pop up display lights for trade show display. 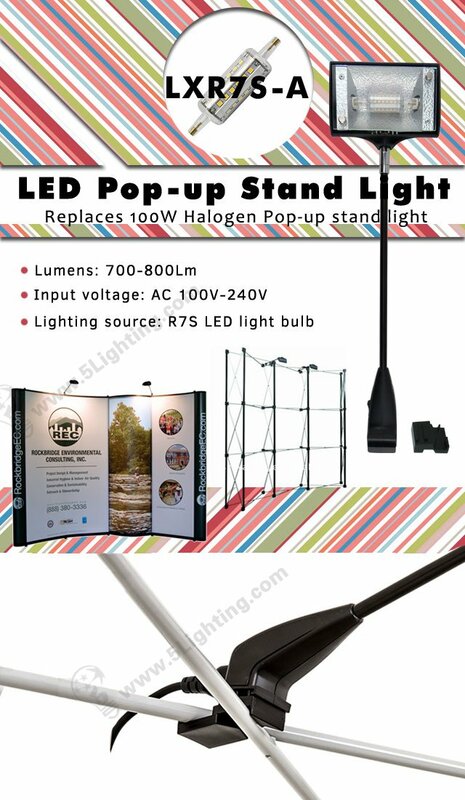 Replaces 100W Halogen display lights, perfect for exhibition pop up stand. d): The pop-up display universal led light kit provides black and silver this two different colors for customers options.